Home ‹ RUST ‹ Lux Arcana experiments with Rust! 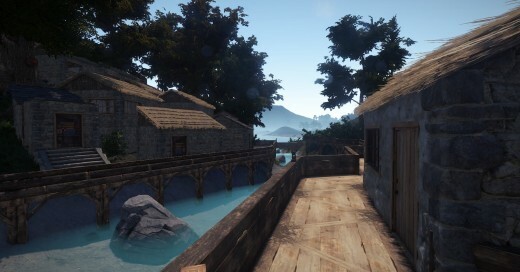 Rust ‘experimental’ alpha released in June 2014 but we joined in the fun for the first time earlier this year when a group of former Darkfall players decided to give the game a go. And we’ve been pretty much hooked ever since. When it first launched in 2013, Rust was quite the standard zombie survival clone with an added bonus of being able to build. But the game’s developer (Gary Newman from Gary’s Mod) always viewed zombies just as placeholders for mobs and other AI lifeforms that would inhabit Rust’s worlds. And since its re-boot last June, the game has been flying off Steam’s e-shelves – over 82,000 Steam reviews, with 85% of players rating it “Very Positive”. That’s a LOT of happy players for this genre! So what is Rust ‘experimental’? 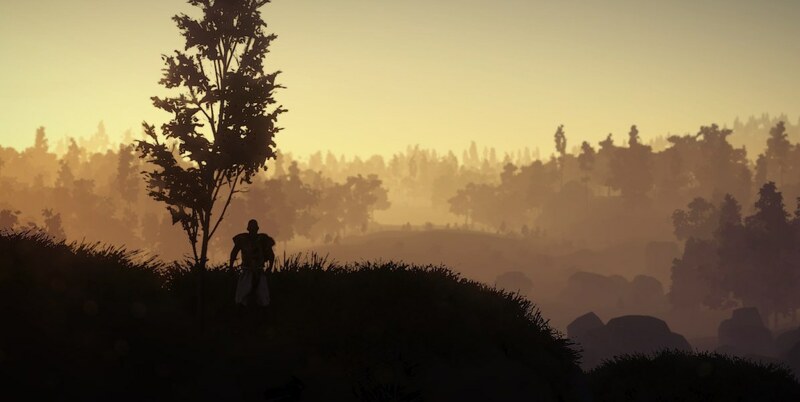 Well – it’s Darkfall (openworld, full loot PvP) meets Minecraft (gather resources, learn blueprints, build your bases anywhere you want) meets DayZ but without the zombies. You start the game naked (literally – no blushes are saved) with a rock and a torch. Bash some trees with your rock to get enough wood to craft a wooden spear. And bash some stone nodes to get stone (and sulphur and iron). Use your spear to hunt down some wild boar or deer (or wolves, bears, horses or chicken) to get cloth and meat, then get to work on starting to build somewhere small (and well hidden) to have as your starting base. And it’s up to you what and how and where you build. As you can see from the pictures above and below, you can go simple shack, sleepy village, great fortress or anything in between – as long as you have harvested the resources to build it! As your time in the game world progresses, find blueprints in the oil barrels scattered around (for you ex-Darkfall types oil barrel = chaos chests) to learn new things to craft. And although you start with some basic items, blueprints for clothes, tools, weapons, barricades and more are out there waiting to be discovered. 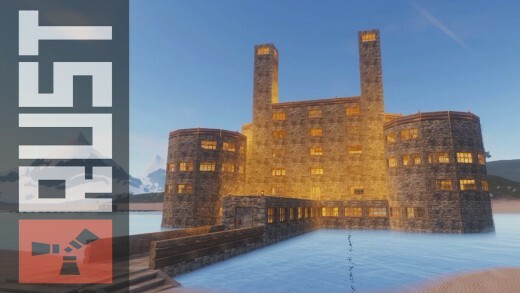 Players host their own servers (or the many official servers can be used too) with anything from 20 – 500 slots available. Game worlds are procedurally generated (and very beautiful! ), so the maps are never the same. And as the game is currently in its alpha stage, there are weekly updates every Thursday, which often lead to world map wipes. Whilst this can be frustrating for some, it also means the gameworld changes frequently which adds its own level of “new world to explore” feeling to keep things fresh. And of course there’s kill or be killed PvP waiting for you. Your weapon can be anything from the rock you spawn with, through bows and arrows right up to hand grenades, C4 timed explosives and heavy assault rifles. If you are unlucky enough to die, you’ll lose everything you were wearing/carrying (unless you get back to your body before it’s looted). You’ll respawn in a random location or (if you’ve made and placed one) at your sleeping bag. You won’t, though, have forgotten any blueprints that you’ve discovered. So you can go make that rifle to stake out your killer and wreak your revenge! Siege weapons, rocket launchers and other weapons are in development and planned for the game – along with a whole host of other things. And because this is the development team that brought us Gary’s Mod, it’s pretty clear they’re going to deliver (and already have been). The game’s developers are constantly tweeting what they’re up to, too. About 15 or so intrepid Luxies have been trying the game for the last few weeks. We’ve been having a blast, working together to build and defend our fortresses – as well as raiding others out of their hard-earned goods (and losing ours)! So if you miss the adrenalin rush of Darkfall or want something a bit tougher than Minecraft, then jump onto Mumble and catch up with us! Great write up Mae and thoroughly explained, thank you – I might try it out.